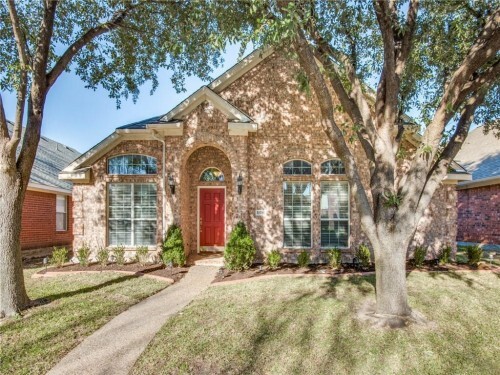 Exquisite Hills Of Prestonwood one story home loca - Exquisite Hills Of Prestonwood one story home located on creek lot offers natural stone floors, plantation shutters & plenty of upgrades. Large open kitchen with granite, low e picture windows overlooking private backyard with grass & beautiful large sparkling pool. PISD SCHOOLS. School buses to Middle School & High School available. 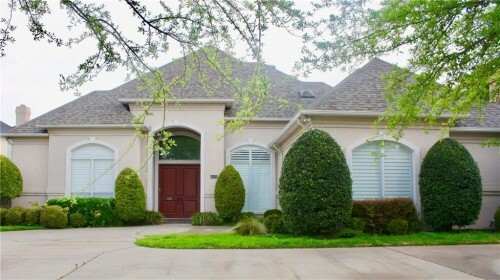 This elegant home has plenty of natural light throughout & is perfect for entertaining. MUST SEE won't last! IMMACULATE 1-story home with many updates! - IMMACULATE 1-story home with many updates! Open floor plan with lots of natural light great for entertaining family & friends. Updates include but not limited to wood flooring, newer carpet, upgraded light fixtures, fresh paint & more. Nice sized formal living & dining areas. Island kitchen with gas cooktop, upgraded granite countertops and large stainless sink. Family room has many windows overlooking the yard & cozy fireplace. Decked patio with lovely landscaped backyard. New roof installed Jan 2019. Master community includes pool, bike trails & parks. Walking distance from schools. Too many great features to list. Must see!